Nasib struggles to assimilate as a teen in Albany, New York. With limited English skills, he attempts to learn new customs, make friends, and adapt to a different culture. In Beirut, the Badre family was well-known and socially privileged. In America, they are unknown nobodies. 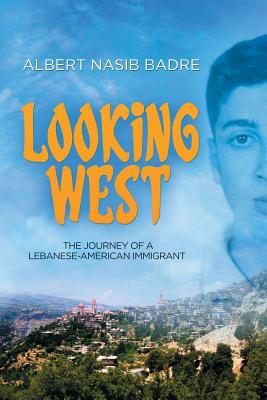 Nasib adopts his father's name "Albert," and to further Americanize his name, young Albert becomes "Al." Despite the many frustrations and difficulties, Al's ultimate goal is to become a successful American. The new anonymity actually inspires the young man. Excited by the opportunities available to him in his new country, he determines to make a potent contribution to society. As he strives to adapt, Al reads voraciously, becoming increasingly interested in religion and philosophy. Books become his "American friends," and reading soon prompts him to ask deep theological questions about his family's Lebanese Protestant roots, his mother's conversion to Catholicism, and the contrast between the Protestant and Catholic faiths. This ultimately leads to his Catholic conversion. Al's search for meaning in life leads him to social activism among New York City's poorest. And, in time, to graduate studies, where his desire is to improve the human condition through information technology. Al Badre- like many other American immigrants-works his way through hardship to achieve a meaningful place in his adopted nation.